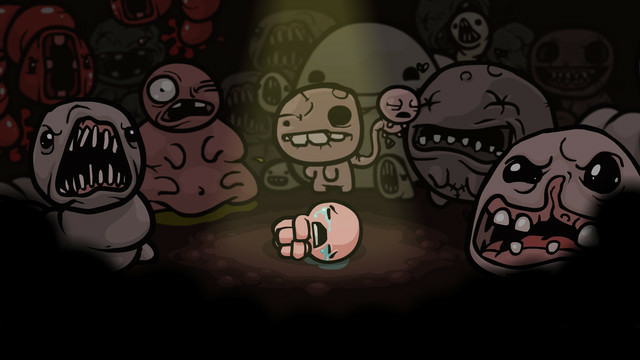 The Nintendo Switch version of The Binding of Isaac: Afterbirth+ has been pushed back beyond the console’s March 3 launch, publisher Nicalis announced today. It will still be released in March, just not the day the Switch launches. “We were unable to confirm the revised release date until now (due to issues way beyond our control),” said Nicalis co-founder Tyrone Rodriguez. The news isn’t all bad, though. Nicalis also announced some new items for first-run copies of the physical Switch Launch Edition of Afterbirth+. The case initially came with a reversible alternate cover and two sheets of stickers featuring the game’s characters. 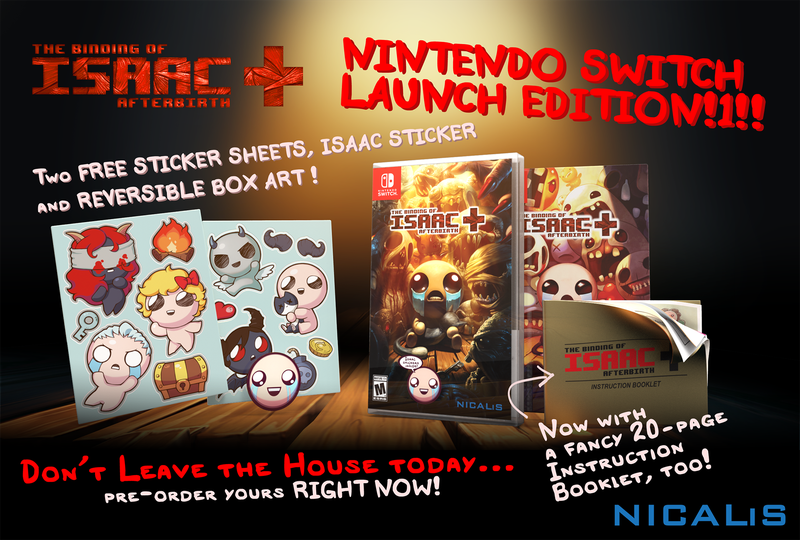 Now the package will also include an Isaac face sticker, as well as a full-color instruction booklet. “This beautiful homage to an 8-bit era gone-by features little details on the game and some never-before-seen art inside,” said Rodriguez, adding that none of the physical items will be included in future production runs of the Switch version. 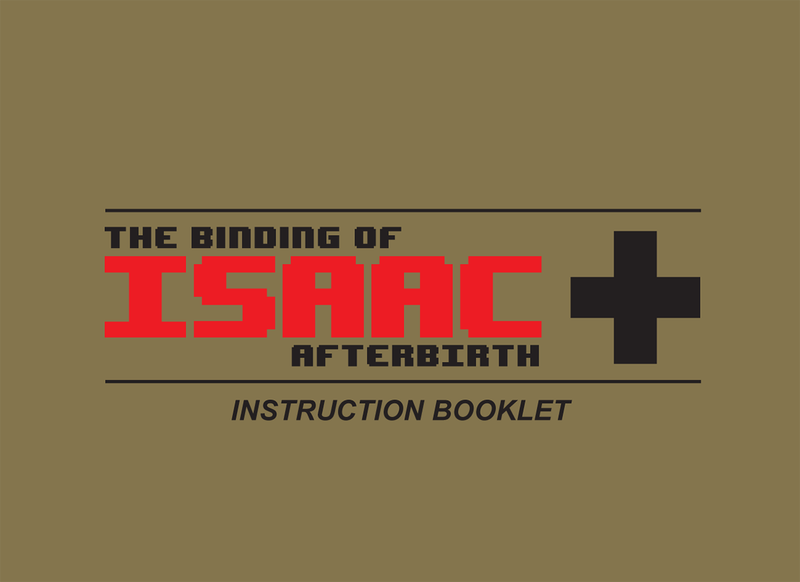 You can see the instruction booklet’s cover and four of its pages, along with the rest of the Switch Launch Edition of The Binding of Isaac: Afterbirth+, below. Check out the full Switch launch lineup to see which games will be released March 3 alongside the console.